The Open Source Drug Discovery (OSDD) OpenLab conceptualizes novel approaches, explores novel computational methodologies and develops novel informatics toolkits to accelerate drug discovery for Neglected tropical diseases. The OpenLab is located at CSIR-IGIB Extension Center at Naraina. The OSDD OpenLab maintains a number of relevant resources widely used by researchers across the world. 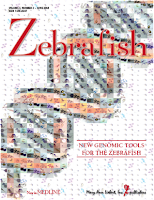 TBrowse: One of the most comprehensive genome annotation resources and genome browsers for Mycobacterium tuberculosis. TBvar is one of the largest variome resources for Mycobacterium tuberculosis. 2C4C Model Repository compiles cheminformatics models and tools for neglected tropical disease drug discovery. TB-Susceptibility Locus Database is a comprehensive reource on Human susceptibility loci for Mycobacterium tuberculosis. Limited opportunities are available for Summer/Winter Interns in our lab. We usually take upto 5 interns every semester, while a larger (20-100) interns work on relevant problems online in close guidance. Typically the projects last fro 5-6 months. Please note that we would not be able to provide stipend/accommodation for the time period. To apply, please email to Dr. Vinod Scaria with "[openlab]" in the subject-line and a brief description of the problem you might be interested in working on. OSDD OpenLab has been one of the pioneers in crowd-sourcing for neglected tropical diseases through involving a large number of students and young researchers in genome-annotation and cheminformatics research. A number of genomes from the OSDD Open Access Repository has been sequenced in Dr. Sridhar Sivasubbu Laboratory in collaboration. A complete list of the sequenced OSDD strains and publications are available here. Genome Announc. 2013 Aug 1;1(4). Predictive models for anti-tubercular molecules using machine learning on high-throughput biological screening datasets. The OSDD OpenLab is supported though the Open Source Drug Discovery (OSDD) Project (HCP001) from the Council of Scientific and Industrial Research (CSIR), India. The data connectivity is supported through the National Knowledge Network. The computational infrastructure has been supported by the CDAC-GARUDA grid infrastructure at CDAC-Bangalore.